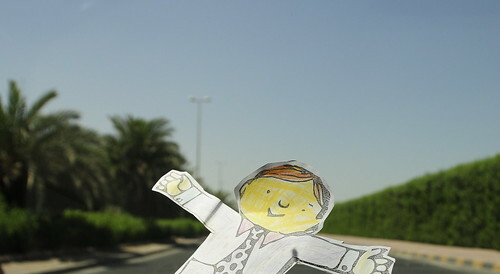 Meet our house guest, Flat Stanley. He has been with us a couple of days and leaves for London tomorrow. 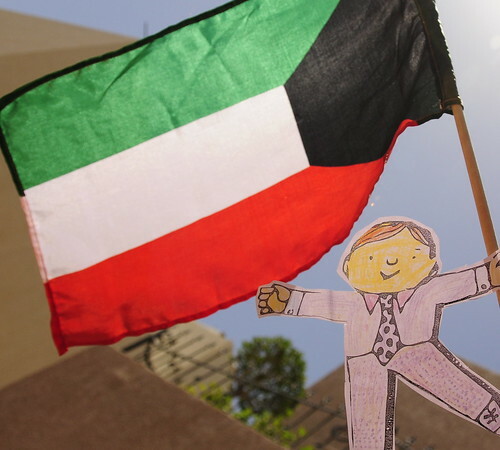 During his short stay, he has seen Yousef and Noor in traditional Kuwaiti clothes, sampled (the aroma of) Kuwaiti food, driven around in 48°C heat for sightseeing, and even found time for the beach. We received the letter below along with Stanley from friends in London. Their daughter is four years old. 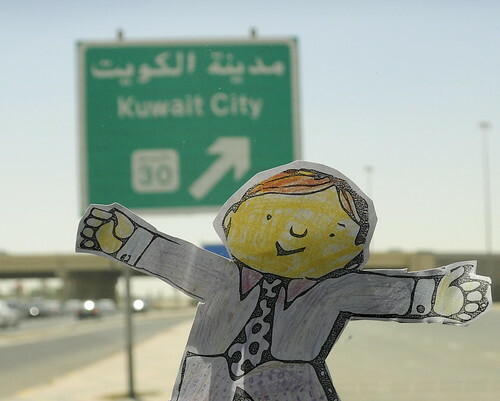 In order to encourage the children’s interest in Geography, we have introduced ‘Flat Stanley’ (a little boy who was flattened by a notice board. This proves to be very useful as he can go on holiday to visit his friends in an envelope!). 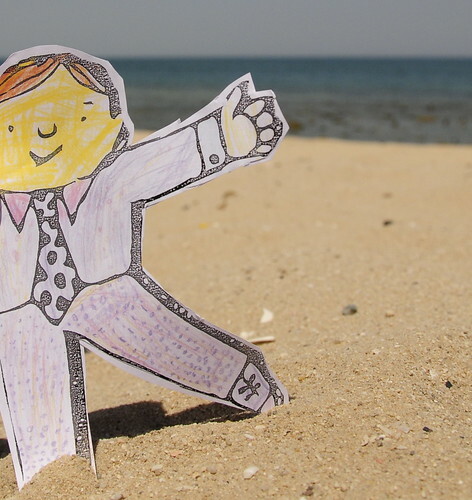 Please can you send the enclosed Flat Stanley to family or friends abroad? Hopefully he will return before the end of the term with lots of information, pictures and postcards about where he has been and the adventures he has had! In this way we hope to build up a collection of items for our classroom, which the children can enjoy together. This is what I call creative learning! lol very cute i love the idea !! Very nice shots and interesting idea! It’s like a new twist on pen pals! I think it’s one of the best in England. Flat Stanley was one of our son’s favorite books. Honestly, it always gave me the creeps, a little, based on how he became flat, but the books were sweet and funny. Good for you, for making the project so much fun for the whole family! 🙂 it is a little creepy… That and the fact that there are many ‘versions’ of him traveling the world simultaneously! I love this idea!! Hopefully more people will create similar projects to help our future generation learn about other cultures around the world.